Hilcania Castillo, head Chef @dgabbyfrench has over 20 years of experience in diverse cuisine, her favored of course is Fine French. I am proud to call her my Mother. She aims to make our guests savor every bite putting her passion for the kitchen into every plate served. The following is a perfect pairing of exceptional flavors for your palate to enjoy to the last bite and sip. It is most appropriate we start with snails, Hilcania prefers to remove the shells by hand before they are dipped in butter and sprinkled with garlic and parsley then baked for approximately 10 minutes. There are many interpretations of Escargot but what keeps our guests coming back for more is the constancy throughout our half dozen serving, this is achieved by flaming each individually before baking. Next a carnivores delight, braised lamb shank imported from Australia and hand picked by my Father Sergio daily. 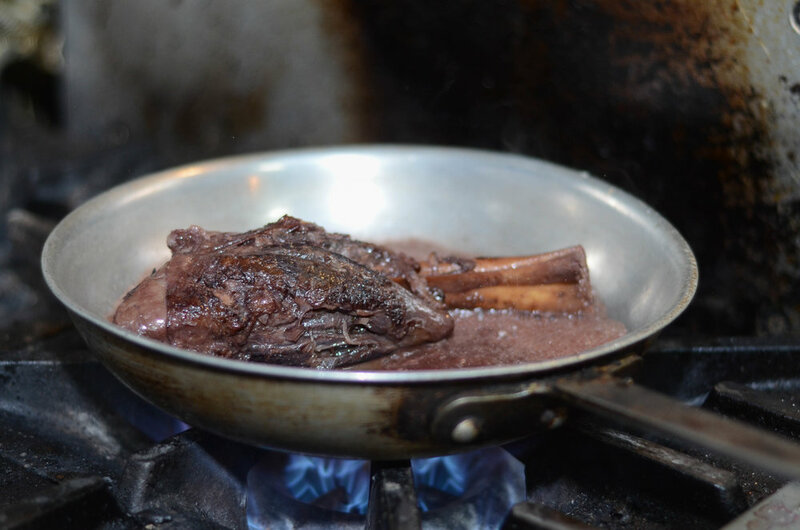 Our Jarret d'Agneau is first cooked over a light flame and then baked at 300 degrees. The two step process takes longer but so does everything made with love as my Mother likes to say. Once ready the plate is joined by flageolet beans, delicious. Sergio recommends this meal be paired with a red wine, the Bordeaux of your choice to be precise. We saved the creme de la creme of desserts for last, Crème Brûlée. It is not the flame, sugar, or strawberry on top that makes this dessert receive the compliments it does. It is Hilcania's preparation and technique, secrets my Mother won't share with Father or myself. We invite you to @dgabbyfrench to try this all, check back soon for our next Fine French serving.